Target Corporation (NYSE:TGT)’s stocks again become bullish just after the release of the company’s statement on the second quarter 2014 earnings on Wednesday. John Mulligan informed that both sales and traffic improved by 1% in July. August sales result is moving with a more impressive trend because of the demand for back-to-school items. The inflation and less employment opportunity was the reason of depression in retail sales in US economy. Target Corporation (NYSE:TGT) is the third largest US retail chain and operates in three segments: U.S. retail, U.S. Credit Card and Canadian retail. 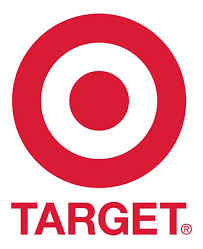 Target Corporation (NYSE:TGT) shares have been performing well since the beginning of the last week. The latest updated sales may foil the forecasted EPS of $0.66, dividend of $0.43 and revenue of $17.1 billion of fiscal quarter ending in May for the year 2015. Target Corporation (NYSE:TGT) has a current dividend yield of 3.51% and institutional holdings share of 87%.